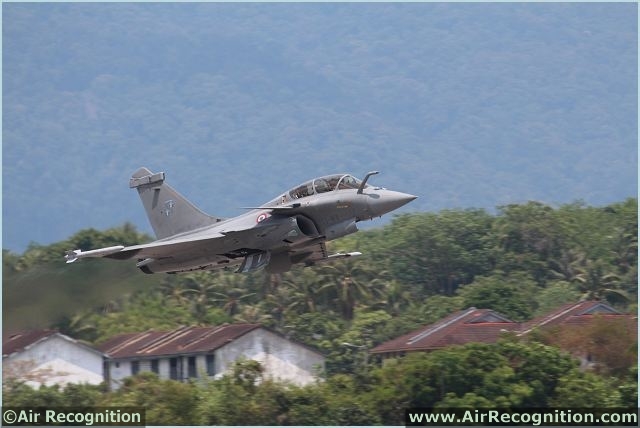 Rafale Dassault Fighter Aircraft Turns Up the Heat At LIMA Langkawi 2013. French Rafale Dassault fighter aircraft in flight demonstration at Lima Langkawi 2013, aerospace defence exhibition. Rafale International has a significant presence in the exhibition in which a strong team is ready to demonstrate the capabilities of the true multirole fighter aircraft, and to present Rafale’s cooperation framework and the Rafale Network of Excellence in Malaysia. The company which is joint-venture of companies comprising aerospace leaders Dassault Aviation, Snecma (Safran Group) and Thales have been active in collaborating with Malaysian partners. In line with its goal to create the Rafale Network of Excellence in Malaysia, several agreements and Memorandum of Understanding (MoU) have been inked with local industry players, organisations and institutions. Rafale International does not only produce the most critical technologies, but also invests into human capital development in high value industries. The group looks forward to contributing towards Malaysia’s development targets and partner the country as it moves towards being a high-income nation. LIMA’13 is open to trade visitors from 26 - 30 March 2013 and the public are welcome to visit on 29-30 March 2013. For more information on the Rafale, please visit www.rafalemalaysia.com.